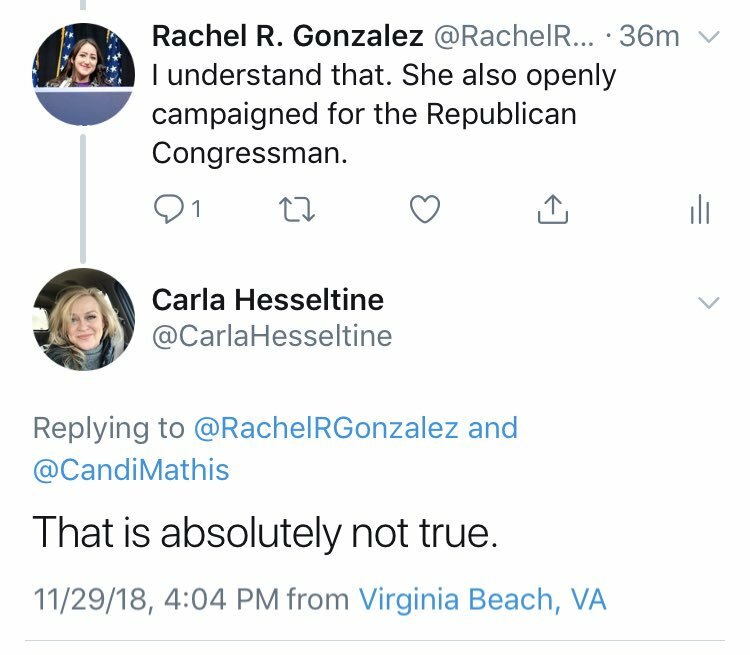 The Chair of the Virginia Beach DEMOCRATIC Party (@CarlaHesseltine) is a Republican. Hesseltine has been using the Democratic Party for her personal gains. Join me in calling for her removal. Hesseltine supported Republican Congressman Scott Rigell, the Republican who represented the 2nd Congressional District before Scott Taylor. 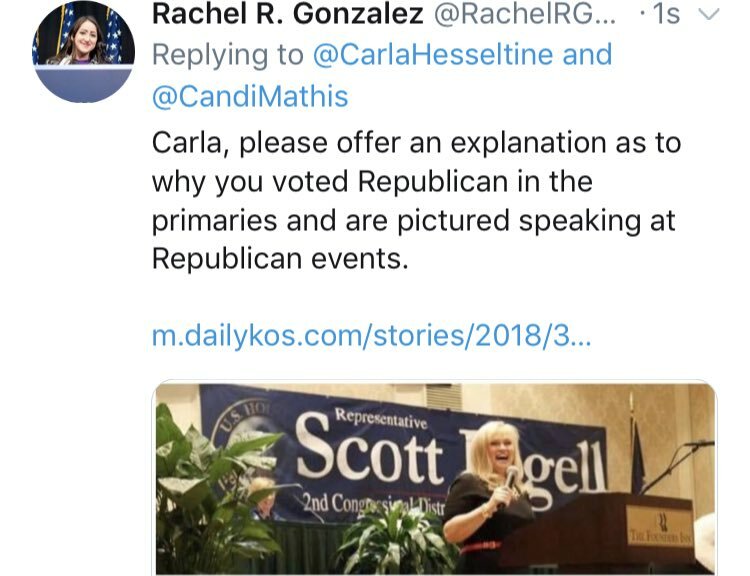 She was also pictured speaking at a fundraiser for Rigell and even wanted him to run for U.S Senate.
.@CarlaHesseltine claimed to be a “lifelong Democrat” when she ran for Chair. She even ran to be a Hillary delegate stating that she never participated in another party’s nomination process, but her voting record shows she voted R and my sources say for John Kasich particularly. It doesn't make much sense to me how someone can vote in BOTH primaries. In 2016, Hesseltine voted Republican on her ballot and as a Democrat at the DNC. 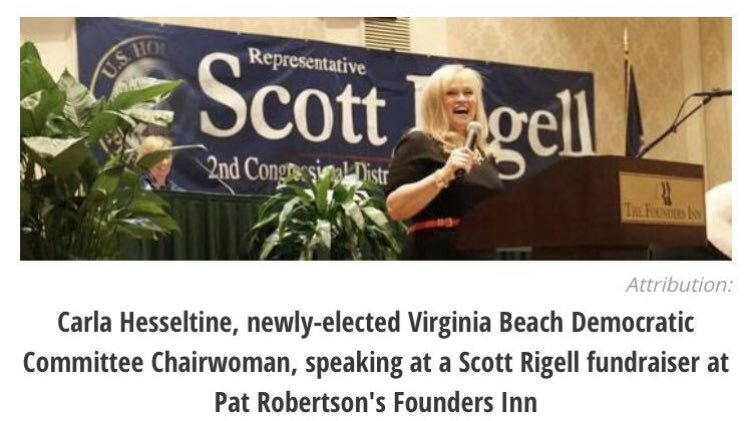 As Chair of the Virginia Beach Democrats, Hesseltine worked behind the scenes to undermine her Treasurer, Mike Maskell, in his run for City Council. She's an imposter in a leadership position of the Democratic Party. Hesseltine and Wood are friends, so she plotted to have him recommended on the official Dem sample ballot over Maskell. The city-council is non-partisan, voters know who each party supports based on the sample. 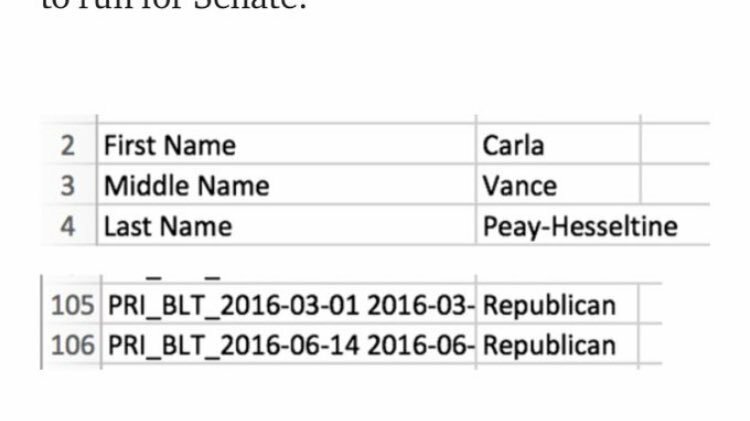 To clarify, @CarlaHesseltine tried to make it appear that this Republican Donor/Fundraiser was the one supported by the Democratic Party. 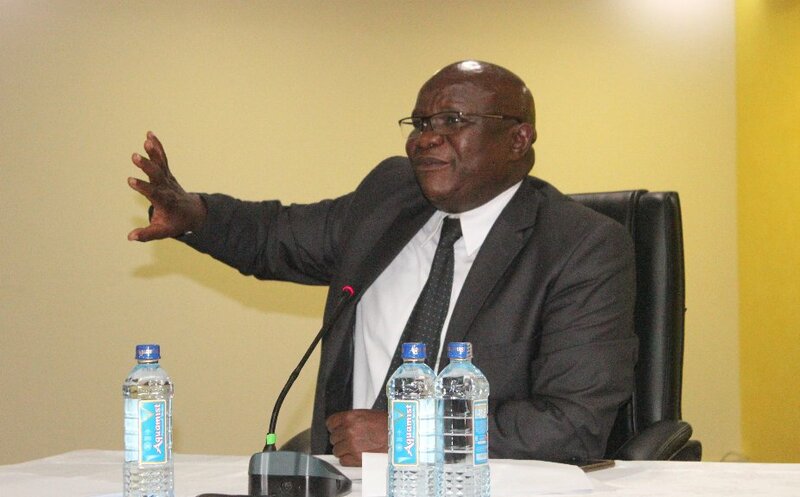 The idea was shot down over the summer by the steering committee. Hesseltine also wanted Ben Davenport (R for Mayor) who held a fundraiser for Scott Taylor and has endorsed many Republicans— on the ballot, as well as the Democrat Jim Wood. 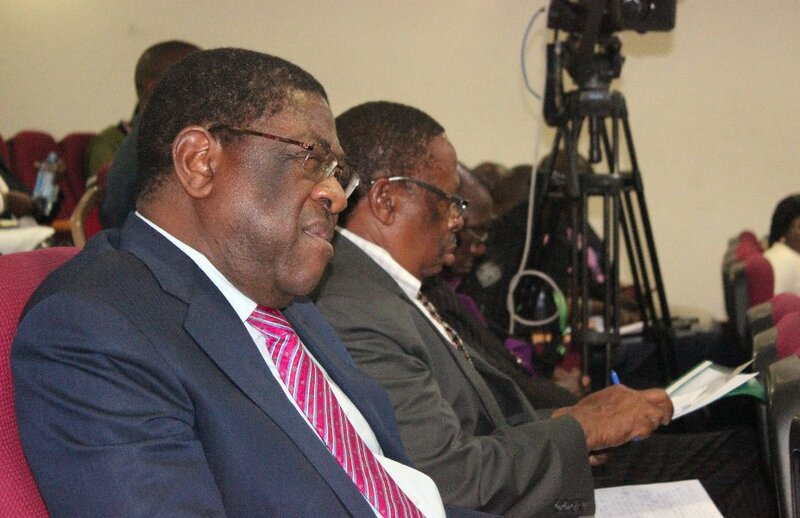 This lead a lot of the Party Steering Committee members to resign. To make matters worse, Hesseltine is someone who is known to take bribes. 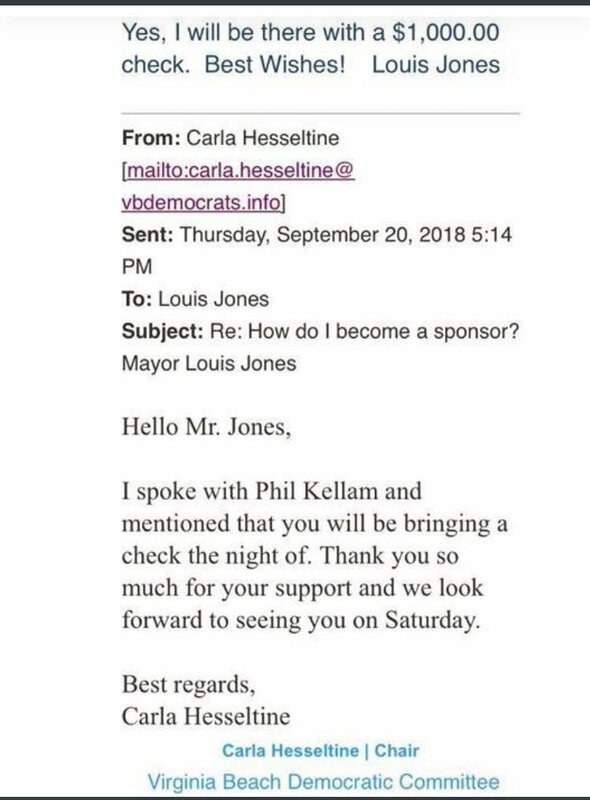 Louis Jones a Republican running for City Council wrote a $1,000 check to the Committee. Carla argued for putting him on the Democratic sample ballot a few days later. Hesseltine supports Louis Jones although he is a known right-wing Republican with a history of racially insensitive remarks. Jones had the temerity to victim-blame an unarmed black woman who had been killed by police in Virginia Beach, even though she did nothing illegal. The Virginia Beach Democratic committee expressed anger about the possibility of Republicans appearing on the Democratic sample ballot. This ruined the chance of Hesseltine getting her wish. To retaliate, she also took the Democrat, Jim Maskell, off the sample ballot too. 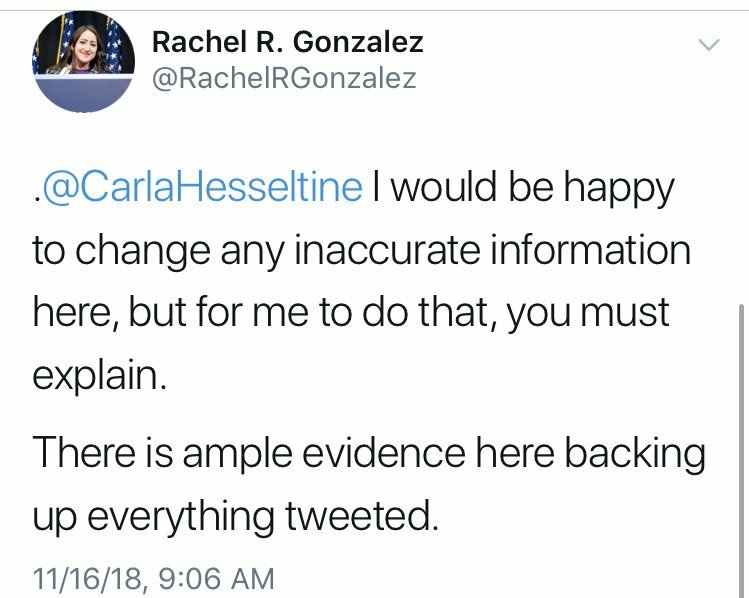 Former Steering Committee member Emily Hoapili, who resigned in response to Carla’s sample ballot shenanigans said, "If he had been on the sample ballot, he could have closed the margin. 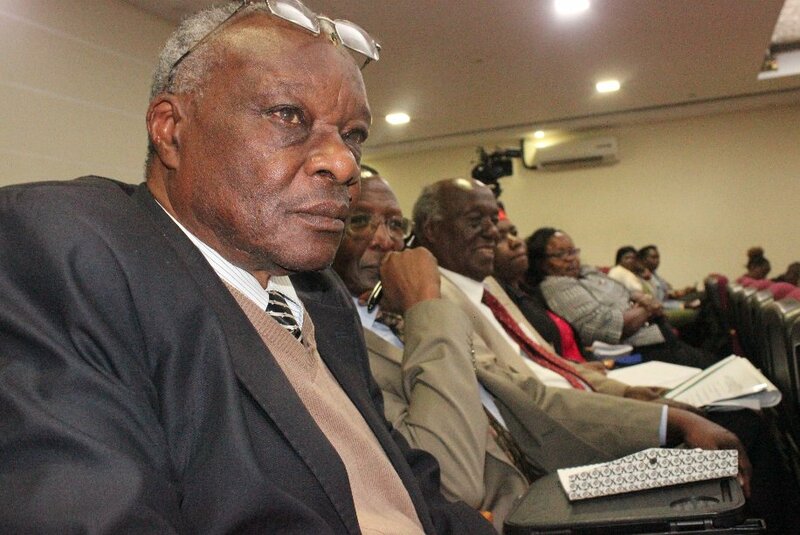 And the message this sends to any members considering running for office is just bad." Republican donor Jim Wood (who Hesseltine tried to put on the Democratic sample ballot) won his city council race due in part to Hesseltine’s actions. If there’s any debate on whether or not Jim Wood is a Republican, here’s his name on the Virginia Beach Republican sample ballot. Carla Hesseltine should resign from her position immediately because she is willing to sink every down-ballot Democrat to advance her own agenda. Hesseltine also wanted to remove the President of the Virginia Beach Young Dems, the only remaining person of color on Steering at that time, from her position. She was unaware that the Young Dems are a separate org, and their President is guaranteed a spot on the committee. The committee’s 19-year-old web designer was removed from his position because he liked a tweet pointing out Hesseltine’s Republican ties. Carla Hesseltine's biases may be subconscious, but they have a significant detrimental impact on her leadership ability. At best, Hesseltine does not care about diversity or a having committee that represents the community. Hesseltine came under criticism from over a dozen members of the committee, and she blamed two black women claiming that they threatened her. One of them was Kimberly Tucker, the organizer for Indivisible 757, and an employee of the national progressive organization Indivisible. Hesseltine’s justification was that Kimberly Tucker was so upset by all of the problems on the committee that she would be willing to hold a protest outside Carla’s house. Of course, no such protest ever happened. Hesseltine was just being dramatic. 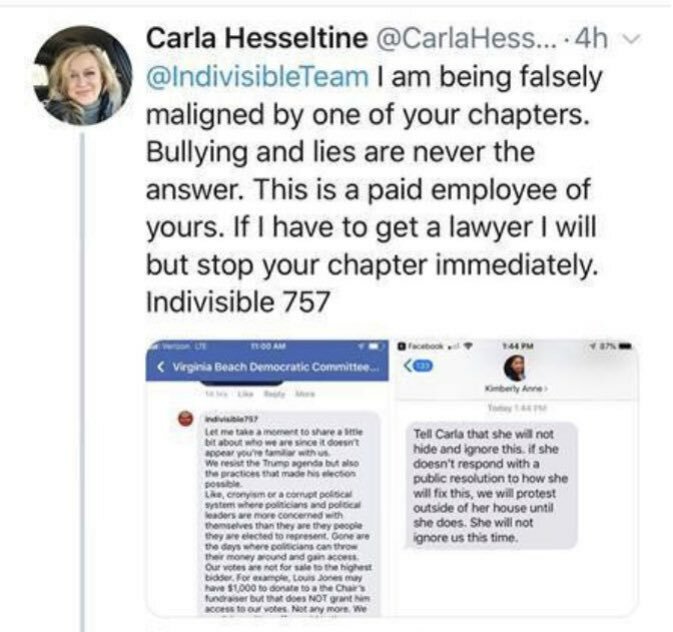 Carla Hesseltine tweeted @IndivisibleTeam asking them to fire Tucker. Threatening someone’s job, someone’s paycheck, someone’s ability to live, is much more severe than Tucker’s remarks against her. 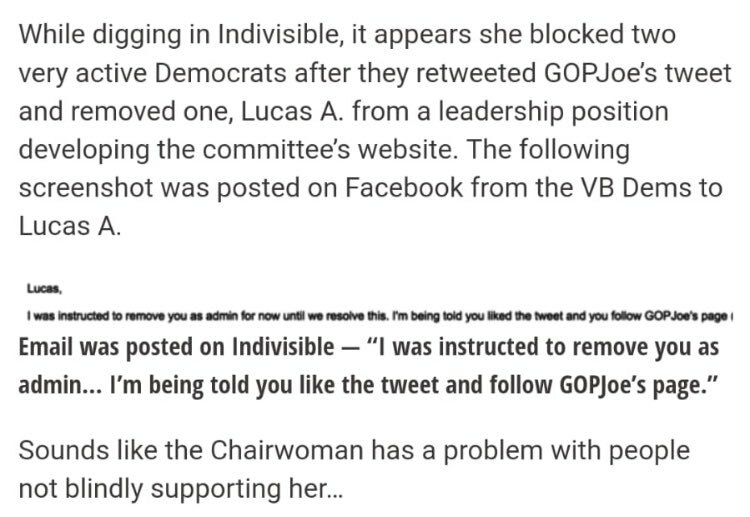 This is absurd because the Indivisible Movement does excellent work and is a non-partisan progressive organization, so they criticize anybody who deserves it. 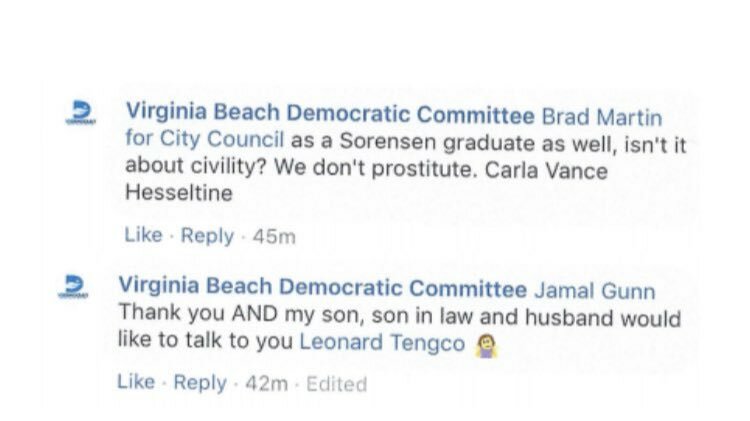 Carla Hesseltine used the official Virginia Beach Democratic Party page to threaten Leonard Tengco, a local Democratic school board member saying, "My son, my son in law, and husband would like to talk to you." 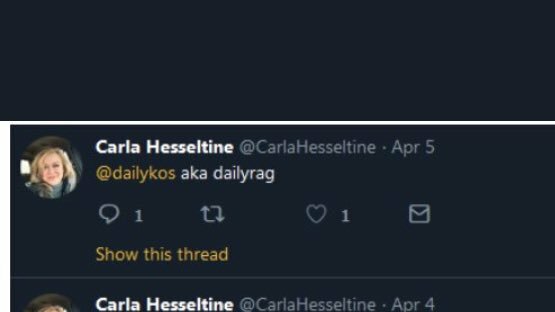 The way Carla Hesseltine pushes out minorities, young people, and those who criticize her has done lasting damage to the party and is the exact type of politics that makes people not want to become involved. She's a stain on our party, and we should call for her removal. 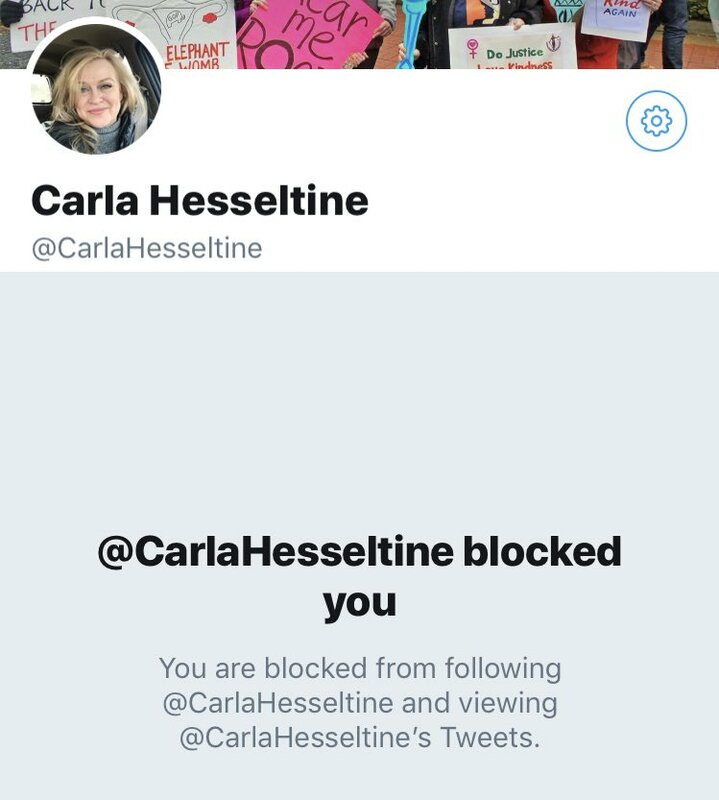 I tweeted @CarlaHesseltine a few days ago asking for an explanation, she responded by blocking me. The steering committee can remove Hesseltine, but they haven't. The only other person who can do something about this is the Congressional District Chair, Sandra Brandt. For the sake of our party, the Virginia Beach Democrats must be willing to stand up against Carla Hesseltine. Please pay attention to your local politics (and get involved) to stop stuff like this from happening. Local politics is so important! 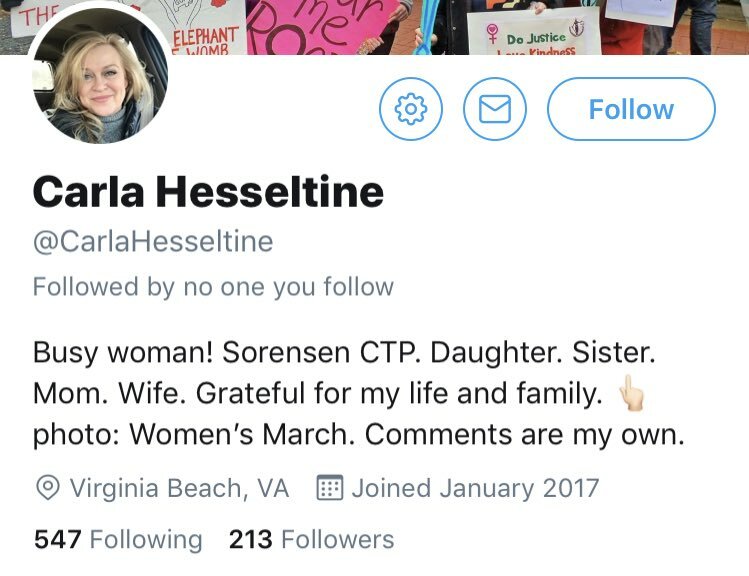 Don’t be fooled by Hesseltine’s Twitter either, she created a new page after becoming Chair in January of 2017. I heard that Carla Hesseltine has plans to run for State Senate as a Democrat! 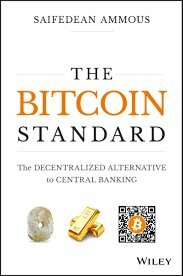 We must let everyone know about all of this ASAP. The Second Congressional District is meeting tonight! They will hear Kim Tucker’s appeal of the VA Beach Dem Party’s committee's refusal to remove Carla Hesseltine. Ideally, they will accept her appeal and remove Carla Hesseltine tonight. But Sandra Brandt has all but directly stated she would not allow a vote. Honestly, we should also look into anyone who is in the way of Carla Hesseltine’s removal. There's no good reason to let her keep destroying the Democratic Party. Please leave them a message ASAP (they meet tonight) asking them to remove Hesseltine. 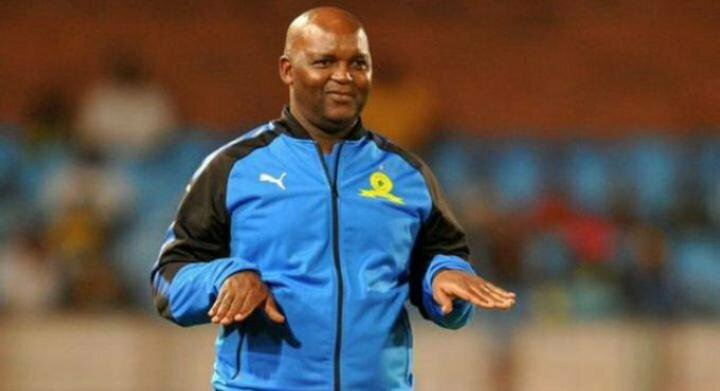 Update: Carla Hesseltine just unblocked me to respond to a tweet. 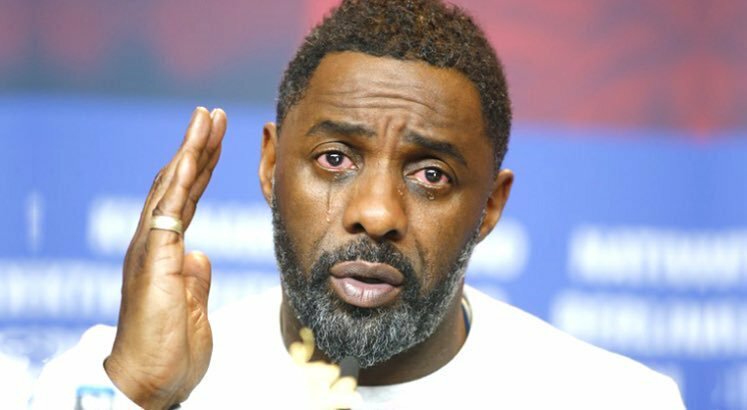 So they had another opportunity to remove her last night but didn’t.